additions by Oldrieve in 1909. 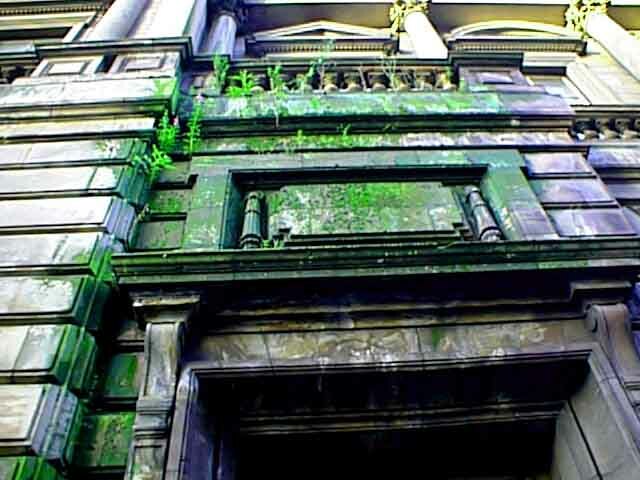 The former Edinburgh GPO was completed in Feb 2005. The illumination at night using discreet turquoise lighting through every window is superb and an object lesson to other developers in how to both sell a building and add something to the city. The building still requires tenants thus justifying the nightime lighting. 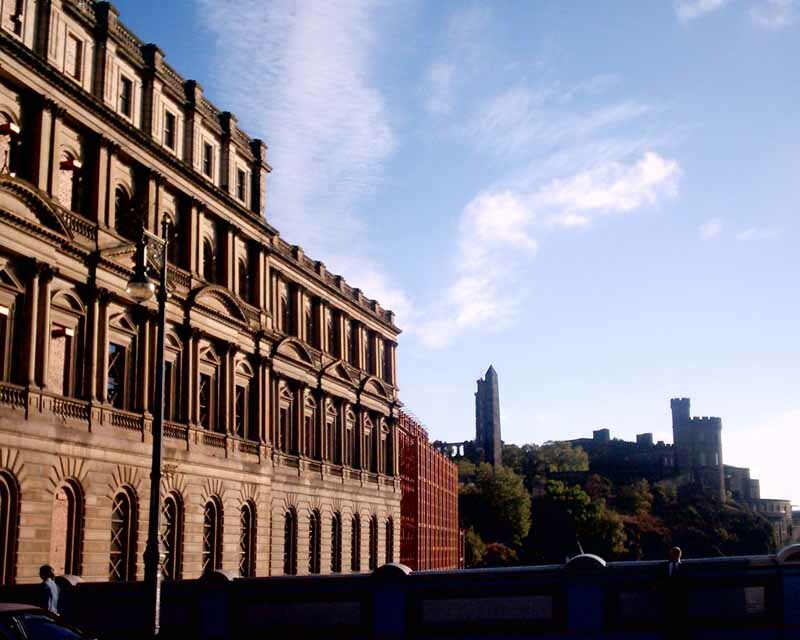 The restoration of the General Post Office building is very important to Edinburgh as it is such a key site, visible from major axes and along the Valley, not least from people arriving in Edinburgh for the first time by train. The GPO shell has been retained and is currently undergoing redevelopment; sadly there is no connection to Waverley but this development removes a sad scene of dilapidation that lasted many years from the city’s heart. 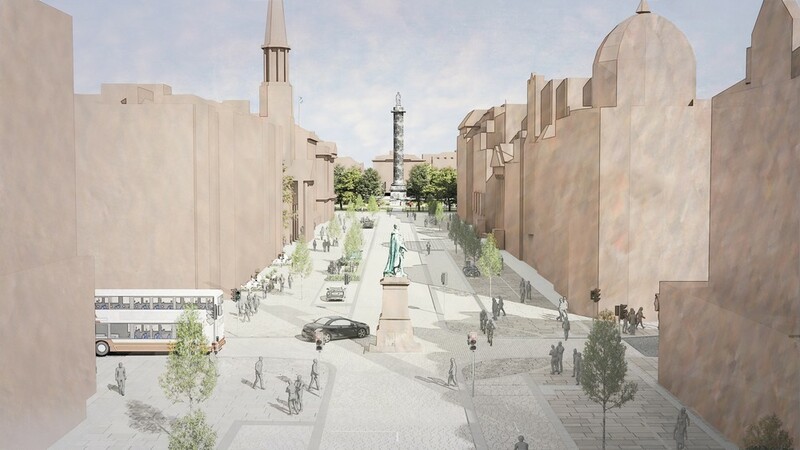 Waverley Gate is a £65m redevelopment of the former GPO – dating from 1861 – by the Hugh Martin Partnership for developers Castlemore Securities. 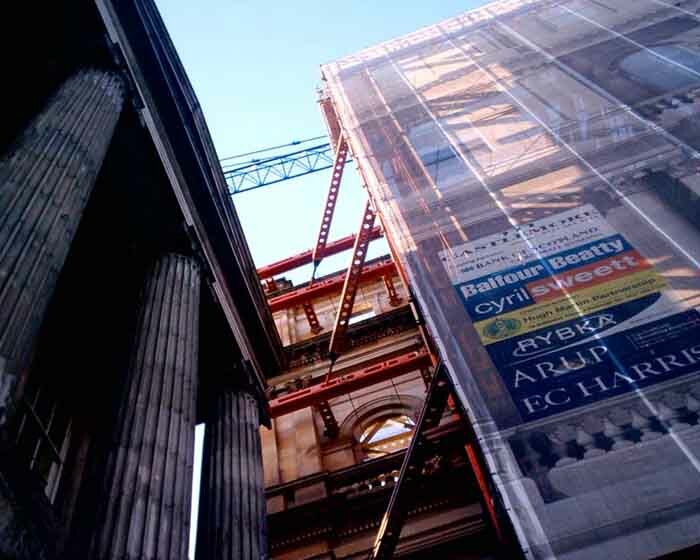 The facade of the grade A-listed GPO building in Waterloo Place is being propped up by huge steel columns and shrouded by massive advertising wraps with the centre cored to produce a large atrium. 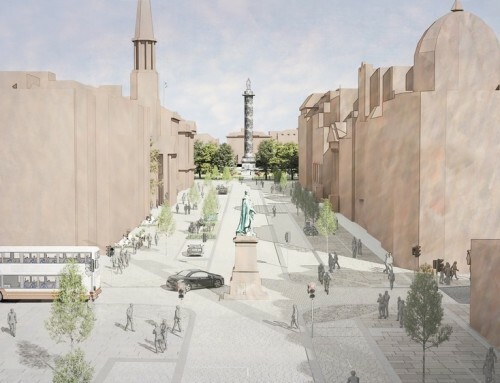 The demolition within the GPO shell involved removing 30,000 tonnes of material. 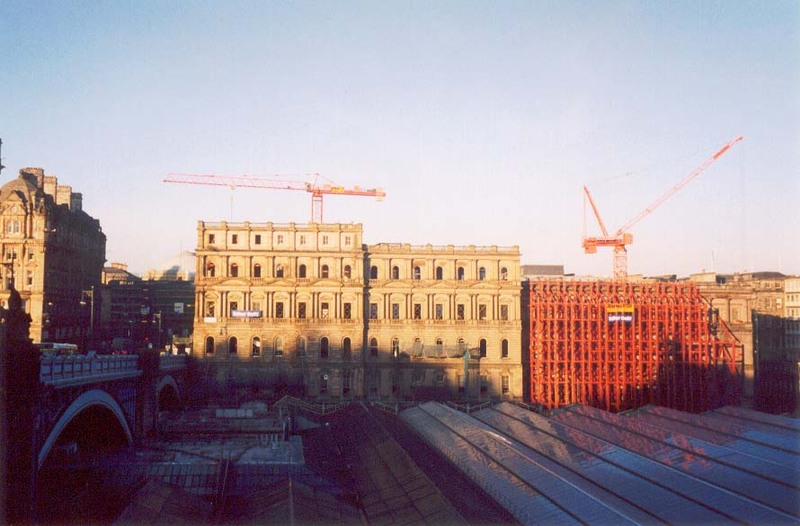 Waverley Gate is the largest office building under construction in Scotland, providing approx. 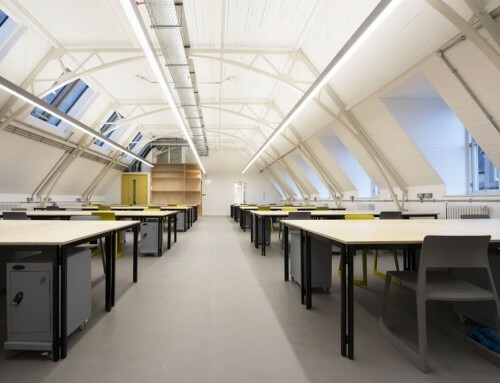 36,000 sq ft per floor, totalling approx. 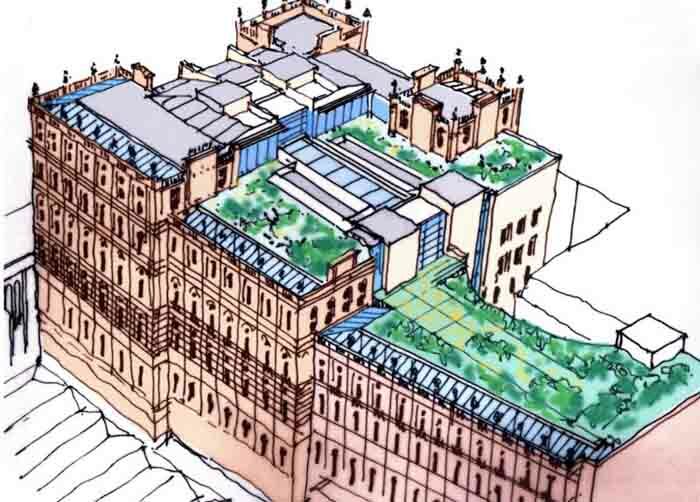 206,000 sqft (net) of office space with ten large floor plates, roof gardens and secure basement car parking. 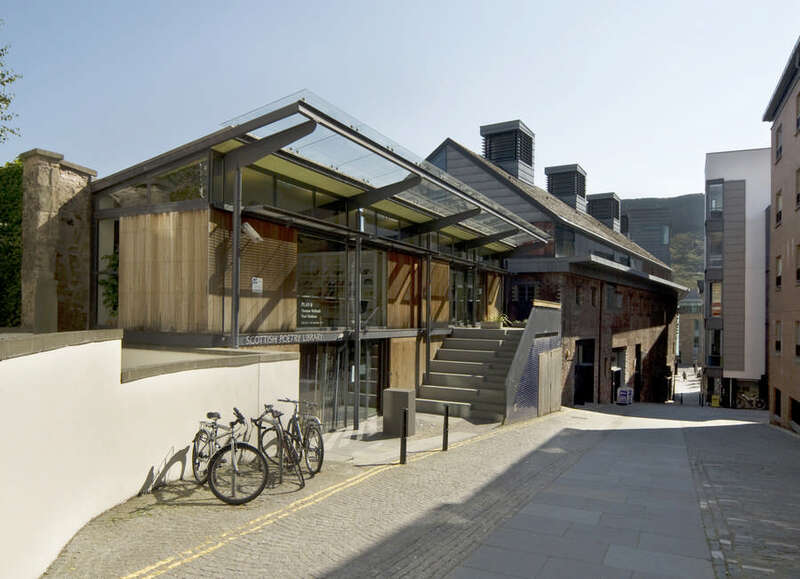 Go to the building’s website and watch the building ‘corrode’! 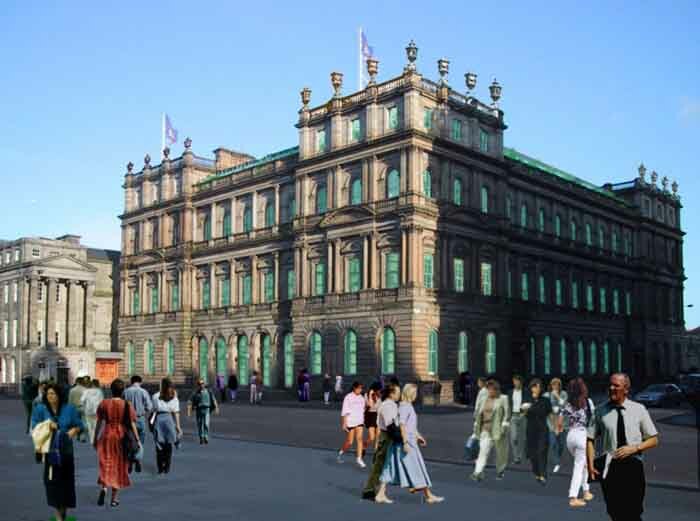 The image with the plants shows the state of the building in 2001 prior to start of works. 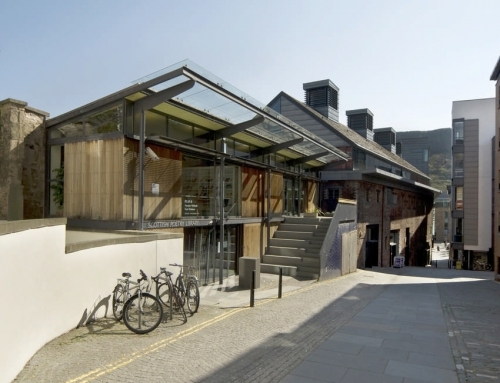 The architects behind the plan are the Edinburgh-based Hugh Martin Partnership. 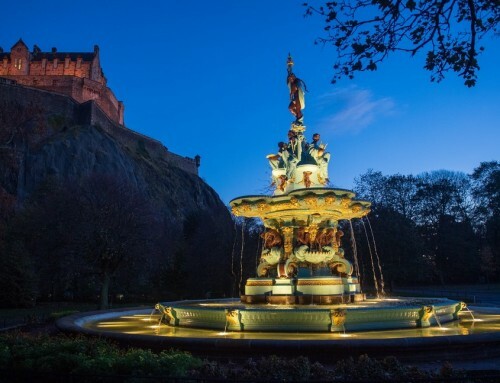 Its portfolio already includes dozens of office buildings in Edinburgh, as well as Princes Square shopping centre in Glasgow and its former GPO building, which was converted into luxury flats. 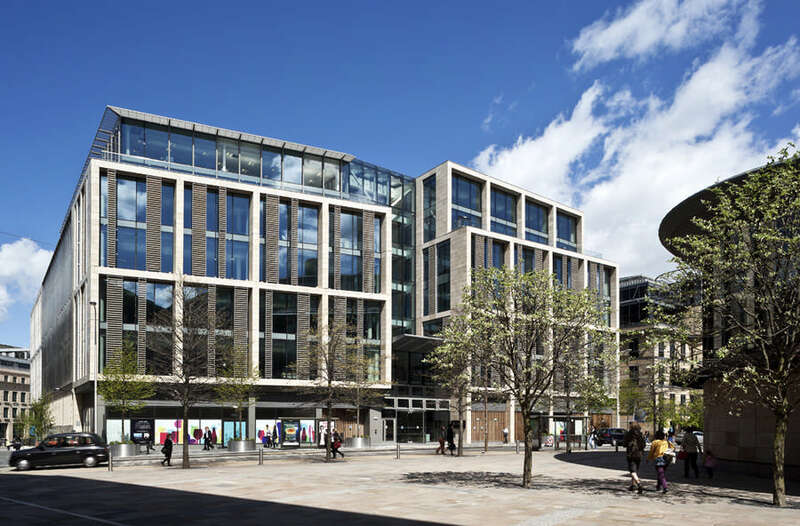 The Hugh Martin Partnership has named its latest project WaverleyGate, and when the building is finished it will offer 206,000sq ft of office space on eight floors anchored by a central glazed atrium. 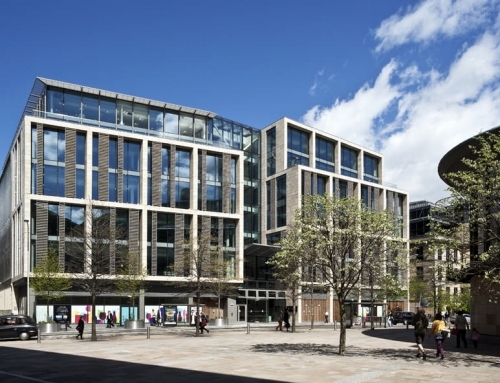 The builders have started work on a £65m project that will see the old Edinburgh Post Office turned into one of the most prestigious office addresses in the Capital, called WaverleyGate. When the building is finished it will have 206,000sq ft of office space on eight floors.